My wallet-making was at a standstill. My sewing machine skipped stitches when I attempted to sew through the thickest areas, which consist of several layers of fabric and interfacing. I was so frustrated. I was losing my mojo. 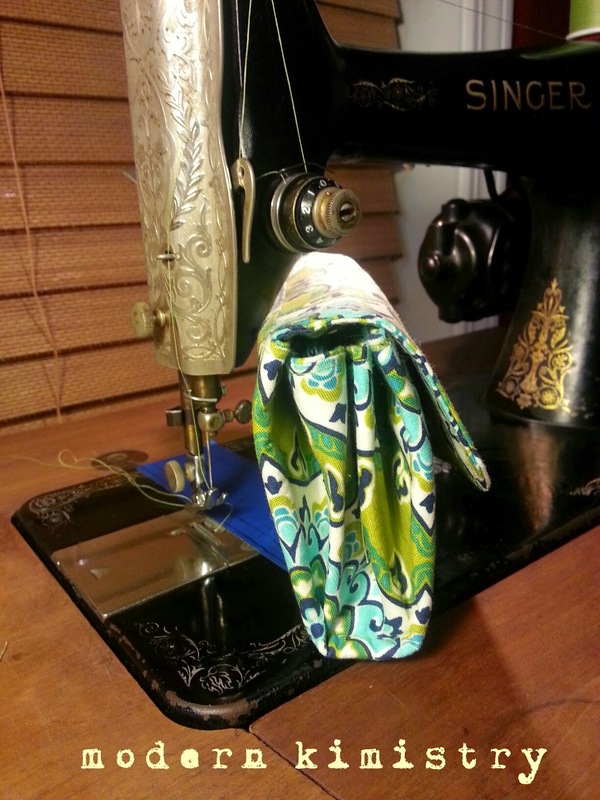 I needed a machine that could sew through several thick layers. 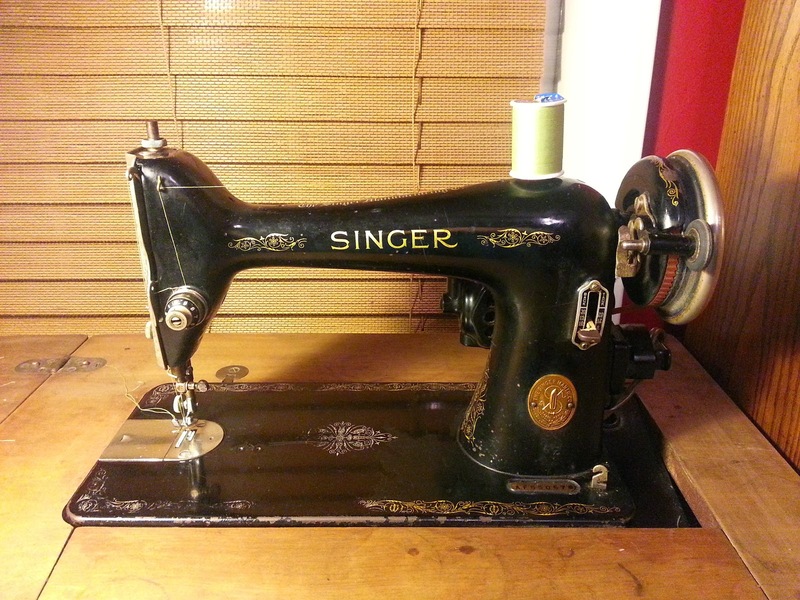 I needed a machine that could even sew through leather. I needed a workhorse. I needed a good old fashioned Singer. And I knew where to get one! So last night I went to my mother's house and opened up the cabinet to my Grandmommy's 1940 Singer 66-16. I oiled it, installed a denim needle and plugged it in. I threaded it and it sewed through eight layers of denim like butter! 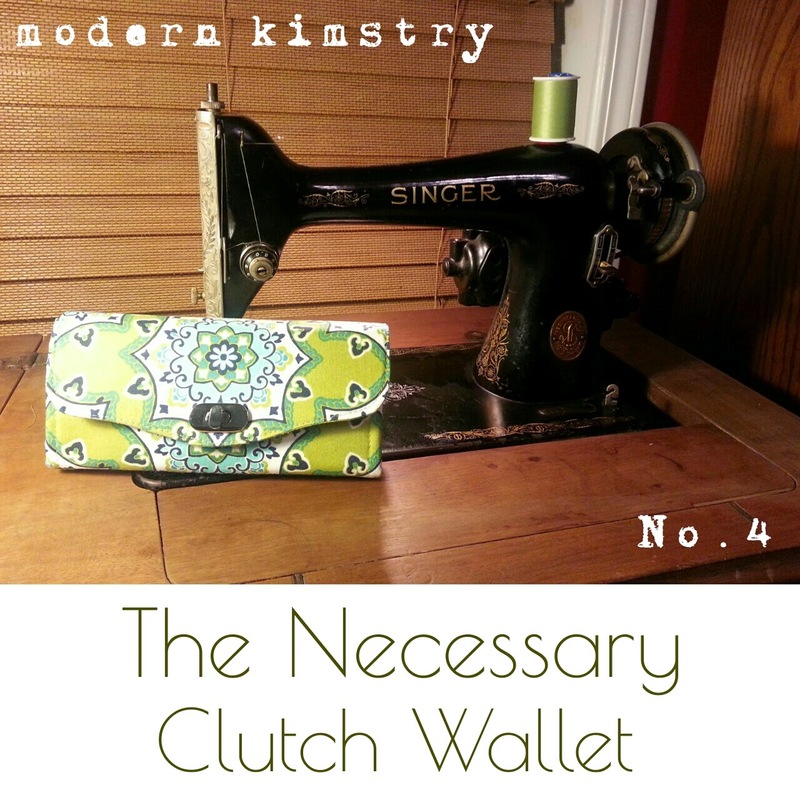 My mother brought it to me today and I made this wallet with no problems. The stitching is even and beautiful. 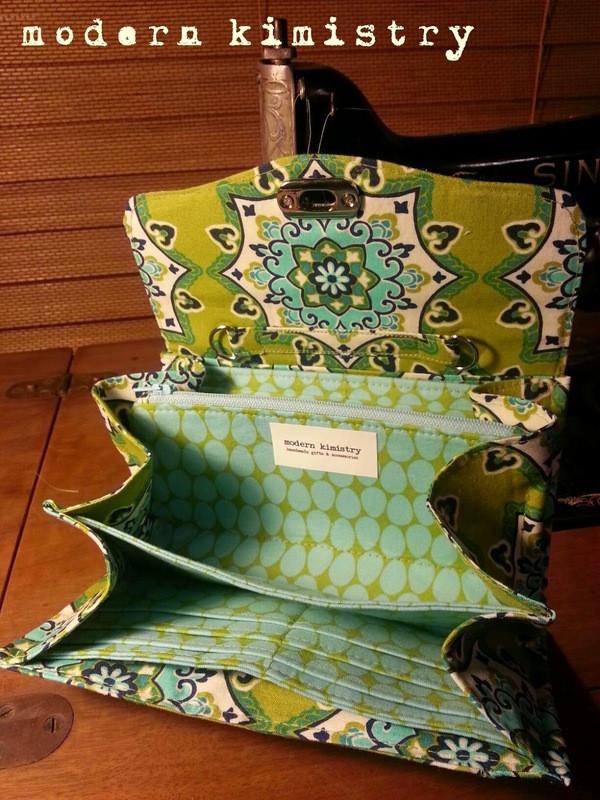 This will be my main machine from this day forward for making wallets and handbags. I have named her Edwina after my grandmother. I know Grandmommy is smiling down on me. Cool. I love getting old tools to work on new stuff.